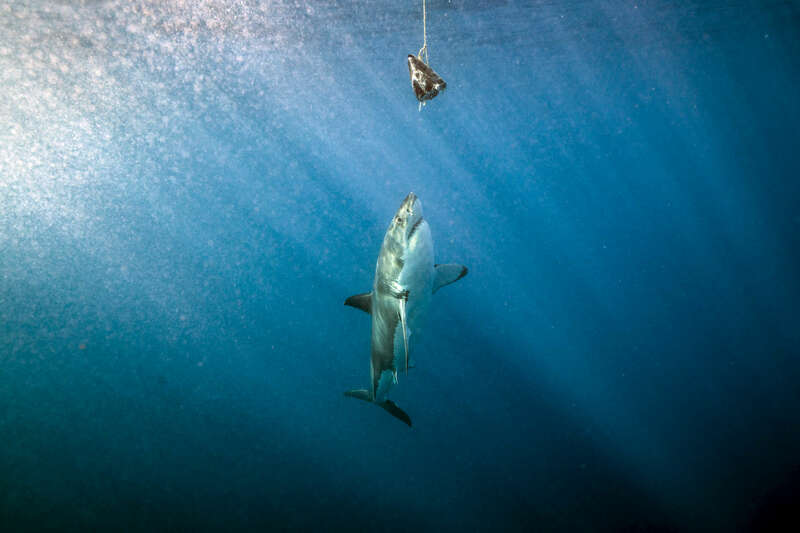 Isla Guadalupe, Mexico - November 12, 2015: A carcharodon carcharias, more commonly and infamously known as a great white shark, inspects bait hanging along the surface waters off the isolated volcanic Mexican Island of Isla Guadalupe. The island, long a destination for fur hunters and sports fishermen has large population of elephant seals, which in turn attracts a seasonal migration of great white sharks. The presence of a population of sharks is so consistent that in recent years the island has become a mecca for shark diving tourism.